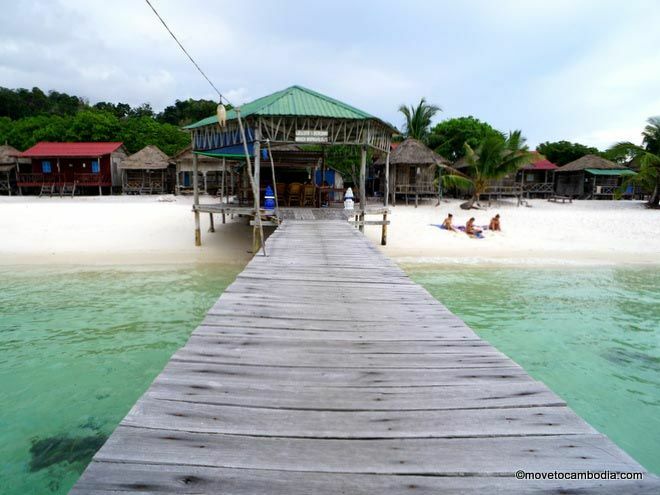 Sok San Beach Bungalows offer budget, rustic accommodation smack dab on one of Koh Rong’s most beautiful beaches. Welcome to Sok San Beach Bungalows! Now, relax. The bungalows are rustic — sometimes to a fault. While all of them have gotten new roofs, the budget bungalows are still the same thin, untreated palm wood from years and years ago that is slowly rotting away. The budget bungalows are little more than huts on the beach, but the more expensive bungalows are newer and built to a slightly higher standard, so it’s probably worth springing for one of them. Bungalows are solar powered, with electricity from 6 p.m. until midnight. Each has a mosquito net, private bathroom with cool-water shower, and a private balcony with chairs for lounging. The budget bungalows have either two twin beds, one double bed, or a double and a twin bed, and the prices are based on how many people the bungalow accommodates. The newer bungalows have either three or four beds, and are suited for families. The reason to book at Sok San Beach Bungalows is not the bungalows, however, but their location: they’re built directly on the white sands of gorgeous Sok San Beach, looking out onto the calm turquoise sea. On nice days it truly is as pretty as a picture. They also have a restaurant and bar over the water with lots of room to chill out, so it’s possible to spend very little time in your bungalow apart from sleeping. 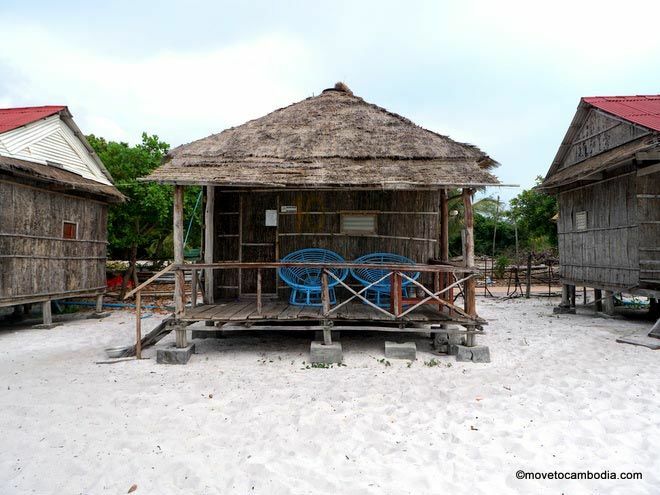 Seaside island shacks at Sok San Beach Bungalows. How to get there: Sok San Beach Bungalows can be reached by the Buva Sea ferry, which has daily speed ferries to Sok San Beach. The trip takes 45-60 minutes and leaves at 1 p.m. from Sihanoukville and goes back at 2 p.m. Tickets cost $25 for a return ticket transportation page for more information. Reservations cannot be made directly and need to be made on Booking.com.